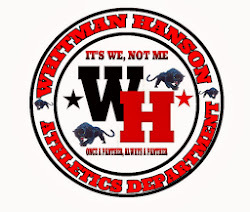 Whitman- Hanson hosted Hingham in a Patriot League match up on W-H's senior night. W-H struck first in the first half when Nolan Clack was able to track down a Steve Kelly free kick and pass it to Joel Arsenault to put the Panthers up 1-0. Hingham put the pressure on in the second half, but a timely header from Brendan Nehiley to his older brother and senior captain Kyle Nehiley put W-H up for good, 2-0. Senior captain Anthony Pasciuto got the shutout in net for W-H.